GET YOUR SECOND JUMP FOR FREE! The first jump course is your first step into the arena of flight. This is where you will learn all the basics of flight that you will need for your return to Earth. It is a classroom based session held on the evening before you usually jump. Main topics of instruction are equipment, exiting the aircraft, body position, canopy control, safety procedures and last but not least... how to land. After the course there is a complete review of what you have learned. On jump day, we gear you up for your jump. Our course includes all the equipment needed for your jump. Coveralls, parachute rental, goggles, helmet, altimeter and radio are all provided. Our expert staff will assist you in putting your gear on and go through a series of safety checks. A final review of the jump is done and your are on your way to the aircraft for your climb to altitude. 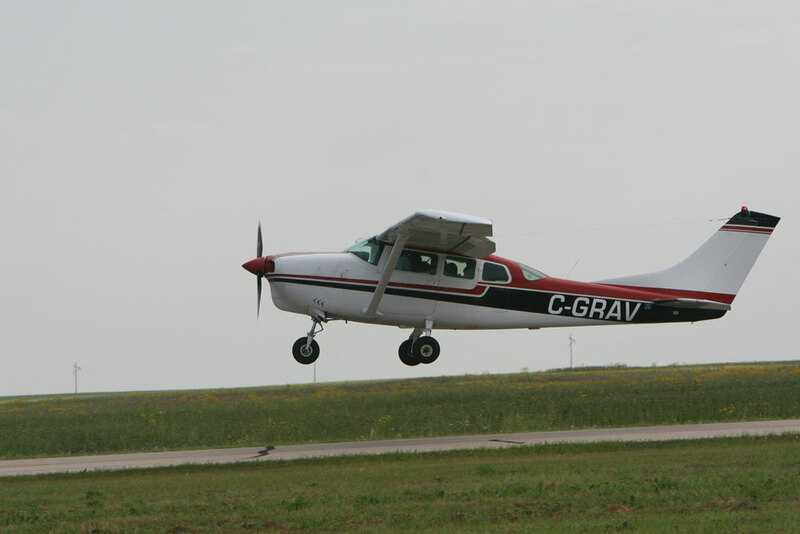 A first time student or IAD jumper is taken to an altitude of 3,500 feet for their first jump. 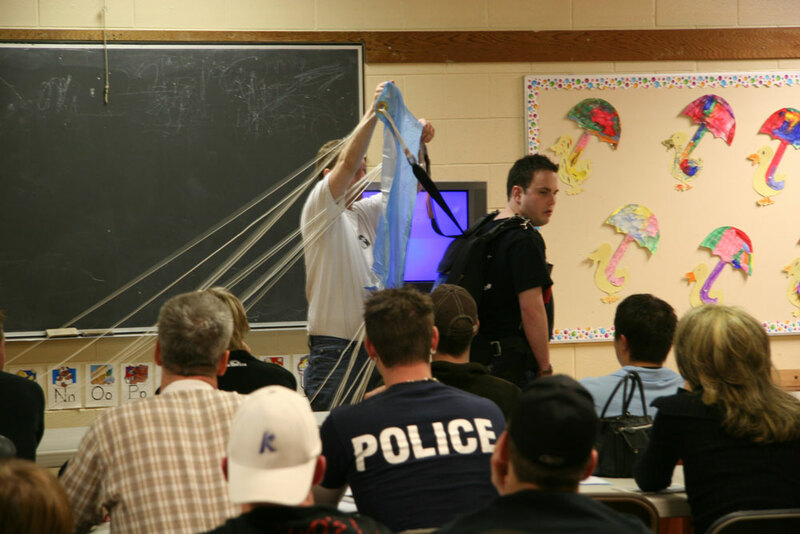 Your instructor will check your gear for the final time and you will exit the aircraft. You let go and fall away as your parachute opens above you. Your training as well as radio assistance from our ground crew guides you to a safe landing after a 3 to 5 minute parachute ride. Our staff will then assist you in taking your gear off, talk about the highlights of your jump and if you so desire prepare you for your next jump. All first jump students receive a logbook containing the details of their jump experience. Subsequent jumps start from $55 while you are on student status. You will then progress through the GFF program. The Gradual Freefall program is used to progress to your SOLO certification where the other method is the Progressive Freefall program. 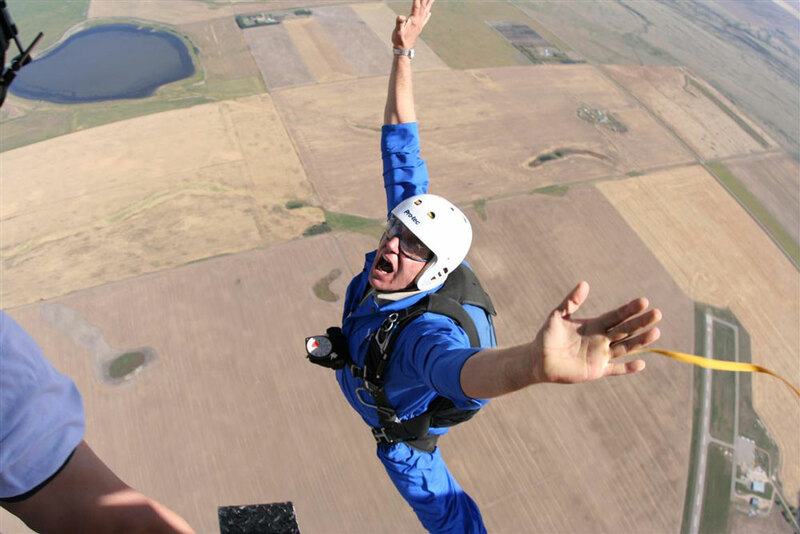 The GFF program represents a "gradual" transition to freefall skydiving. The first jump course includes your first and second jumps. To progress you will have to pay for each subsequent jump you perform. Prices are listed on our price schedule and range from $55 @ 3,500 feet to $64 @ 10,500 feet.